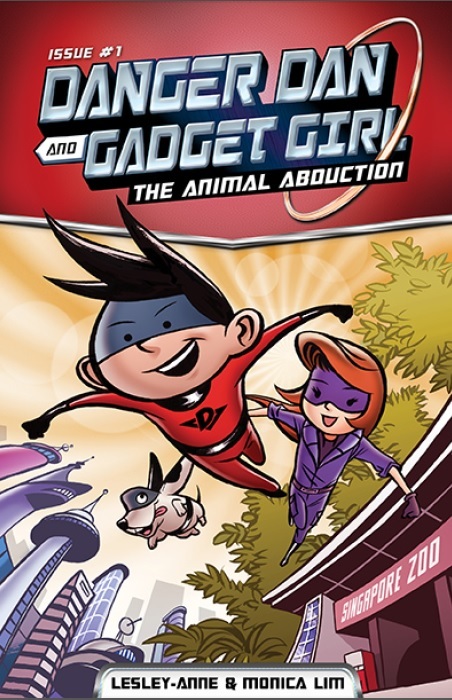 Danger Dan & Gadget Girl: The new adventures of Danger Dan and Gadget Girl! 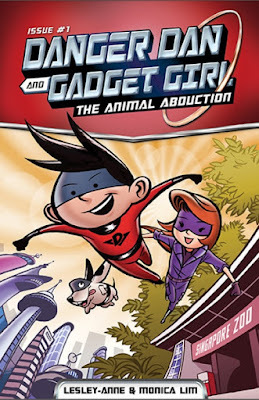 The new adventures of Danger Dan and Gadget Girl! Danger Dan fans rejoice - your favourite time-travelling boy hero is baaaaack! This time, he's going to Gadget Girl's world in the future and they have a new furry friend! The first book of the new series will hit bookstores mid April. Meanwhile, you can pre-order the book here. Enjoy 10% discount for pre-orders of The Animal Abduction, as well as on all other Danger Dan books, including Secrets of Singapore. Apply the promo code DDGGLAUNCH2016 at the checkout. Promotion ends 30 April 2016. Young fan of Secrets of Singapore!